Monster Casino is a really powerful online casino having a monstrous games selection.They have a variety of slots provided by NetEnt, NextGen, IGT, WMS, Microgaming and more. They also have a great interface to their site so you can enjoy it in the best way possible. The casino is licensed by the Gibraltar Gambling Commissioner and by the UK Gambling Commission so players can rest assured that they are secure. Maybe the only downside of the casino is the customer support.Despite they offer Live support, email and phone the support is not always online and it is not stated what their working hours are so you pretty much should depend on luck to reach them. Monster Casino’s primary market is targeted to the mobile device playing customers. It is fully optimized and brings a great experience if you play from your phone. There are so many slots that you can enjoy and besides that, there is also classic casino table games and live dealer games which is great. At Monster Casino the payment methods are also good as there are credit cards and debit cards options such as Visa, Solo, and Maestro as well as Neteller and Skrill e-wallets. 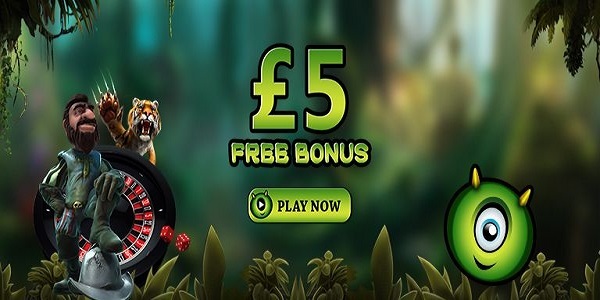 There is a big variety of promotions in the casino but the best ones are the 100% Welcome Bonus up to £200 and the free £5 to play with.